Showcase your products and build your brand. The majority of sellers' Stores were updated automatically in May 2018. If you have custom pages or a fully custom storefront, you can move to the new experience now, or we will move your Store at a later date. You do not need to take any action. We will remind you of these changes before we move you to the new experience. Store subscribers will be moved to the new experience in two phases, detailed in the timeline below. Sellers who do not have custom pages or a custom storefront will automatically be moved to the new Store experience in May 2018. Sellers with fully custom storefronts will be moved to the new Store experience in 2019. New controls for adding custom content will be available later in 2018. Sellers may move to the new experience in May by following the steps below. eBay recommends these sellers move to the new experience as soon as possible since these new storefronts are 100% free of active content, comply with HTTPS requirements, deliver improved SEO traffic, and mobile web experience. These sellers will still be able to manage their storefront content using the tools they currently use. A new tool will be coming later in 2018. These storefronts will be moved to the new experience in 2019. If your Store wasn't automatically moved to the new experience in May, you can follow the steps below to enjoy the new experience. From your storefront, go to "Manage Store" page or from Marketing tab on Seller Hub, Click Edit Store under Manager You Store section. Click "Custom Pages" link on left navigation bar; If you do not see "Custom Pages" link, you can skip the rest. If you have any "Active Pages", select 'deactivate' for each. Under Store Homepage section, select 'all your listings' and select apply. The new Store design is optimized for display on mobile devices such as mobile phones and tablets. It does not contain any active content and is fully secure and HTTPS compliant. Below is an example of the new eBay Stores shopping experience in mobile web. In May 2018, we updated eBay Stores to provide a new and enhanced shopping experience. Our updated platform is intended to improve search engine optimization, mobile optimization, provide the highest site security in compliance with new browser security requirements, while providing additional merchandising opportunities. What should I do if my eBay Store didn’t change in May? If your Store hasn't been updated by the end of May, your Store has custom pages or a fully custom storefront. These Stores will automatically be moved to the new experience at a later date. You can move to the new experience now to enjoy the benefits of the new experience. See here for guidance on how to make this change. Do I have to do anything to update my eBay Store? For a majority of you, your Store will update automatically in May. For those sellers with custom pages or a fully custom storefront, we recommend you move to the new Store experience now to ensure your Store is fully secure and receives optimal SEO benefits. Will my eBay Store subscription fee change? No. Your Store subscription fee will not change as a result of these updates. Can I still update my Store branding in the new experience? Sellers who do not have any custom content will be moved to the new Stores experience in May. Sellers will be able to update the Store name, billboard image, logo, Store descriptions, and custom categories in the new experience. Can I update my eBay Store to include contact information to resolve customer issues? As a reminder, business and personal contact information, such as email addresses, phone numbers, and links to sites off-eBay, is not permitted anywhere on eBay including Store pages and other member-created content. If you wish to provide your customer service phone number for post-transaction support, you can use one of eBay's features that make your customer service phone number available when a buyer uses "Contact seller." You can opt into the feature within "Manage communication with buyers" in your account settings. Are there any tools that are going to help with HTML creation for my updated Store? You will be able to customize your Store by using our many different modules later in 2018. Customization via HTML will no longer be available. If you have a Store will it transfer all the code to the new Store design? All of your current Store information such as the logo, billboard image, store description, and categories will automatically be included in the new updated experience, per the timeline outlined here. However, any HTML code will not be transferred over to the new Store experience. Is there a cost associated with the new updated Store view? No. There is no cost associated with the new updated store experience. Will I receive the same subscribers discounts, shipping coupons, and credits? Yes. The same Store subscription benefits will apply to the new experience. Can I still change the Store name? Yes. You will retain the ability to create your own Store name in the new experience. Is it possible for me to revert back to the old Store experience? The changes to the Store experience are permanent and it will not be possible to revert back to the older experience. You will retain the ability to customize the Store name and graphics such as logo and billboard. It will also be possible to customize the Store modules later in 2018. Do I need to know HTML to customize the new Stores modules? The new Stores experience does not require HTML knowledge. Later in 2018, an easy to use seller interface will be available where you can customize the Stores modules. Where can I host my images for the Store header to be HTTPS compliant? eBay will host the images in a secure location and all Store images will be HTTPS compliant. What do you mean when you say the Store pages are mobile friendly? This means that the Stores pages are designed and developed to look optimal on web, mobile browsers, and tablets. Will my Store URL change when my Store migrates to the new Stores experience? Yes, your Store URL will change. However, we'll automatically redirect from your existing Store URL to the new URL, so no action is required by you. We encourage you to use the new URL format when linking to your Store going forward. For Standard Stores with no custom content which were moved to the new Store experience in May 2018, the URL changed to this format: https://www.ebay.com/str/StoreName. Links from your previous Store URL are redirected to the new URL. For Stores with custom pages and also Stores with custom storefront that don’t migrate to the new Stores experience, the URL will change to this format: http://www.ebaystores.com/StoreName. To ensure the highest security standards, we will automatically redirect the Store URL to this format: https://www.ebaystores.com/StoreName. Redirects from your previous Store URL will be in place. Will the links to my eBay Store categories change? Yes, the links to your eBay Store categories will change. We will automatically redirect links that use the prior URL format to the new format. Will traffic to my Store be impacted when my Store is updated to the new experience? 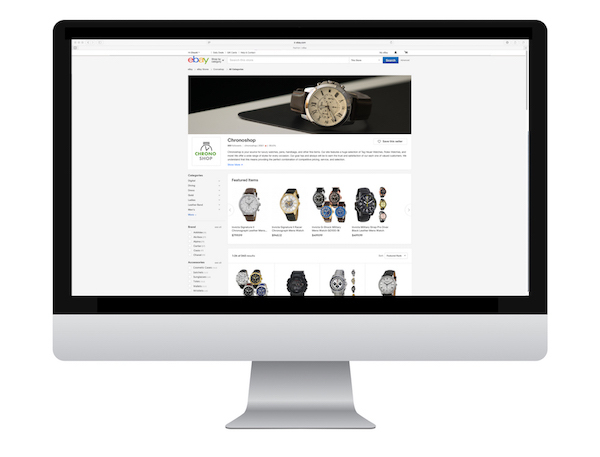 The new Stores experience features responsive web design with improved SEO. Can I showcase featured items? Yes. The new storefront experience allows for top level placement for featured items. If the Store experience you currently use does NOT have a featured items option, please click update my Store and follow the instructions. After you update your Store, you will be able to select listings to feature the next time you select the "edit Store" link. Updating your Store will also enable you to upload a full width image billboard at the top of your storefront for branding purposes. Will featured items in my Store be moved to the Featured Items module in the new experience? Yes. Items featured in your current Store experience will continue to be featured when your Store moves to the new experience. What do I need to do in order to be ready for my Store to update to the new experience? Make sure your Store is in the most current experience by clicking update my Store and following the instructions. If you don't currently have a Store billboard image, we recommend that you upload an image that represents your brand sized at 1248x330 pixels. If you don't currently have a Store logo, we recommend you upload one sized at 150x150 pixels. Select items to feature for display in your Storefront. Will eBay Advanced Store search functionality change? Will my Store categories be transferred when my Store is updated? Yes, your categories and subcategories will all be transferred to the new Stores experience. Will my listing frame remain intact when my Store is updated to the new Stores experience? Yes, the new Stores experience supports the listing frame functionality. Please note listing frame is viewable in the web experience only and not viewable in the mobile experience. Why is eBay changing Store Management tools? We are always looking for new opportunities to increase the value of your eBay Stores subscription. Starting in June 2018, we will provide eBay Stores subscribers valuable new tools and features that include new merchandising opportunities, the ability to customize your Store, improved search engine optimization (SEO), an enhanced mobile experience, and HTTPS compliance. Why are you retiring search engine keywords? The search engine keywords feature no longer provides benefits as the rules for SEO have changed. We have embedded the best practices of SEO directly in the new Stores experience. This means sellers no longer need to take separate actions to improve SEO, it's automatic. How can I opt into Seller Hub? Click here to opt into Seller Hub. I don’t use Seller Hub. Will I be able to access my Store Management pages? Yes. You'll be able to access your Store management pages from the Store Summary page. What is changing with the new Stores search experience? When a buyer searches in the new Store experience, the results will display in the standard search results page view. The search results will continue to be limited to the items you are selling in your Store. 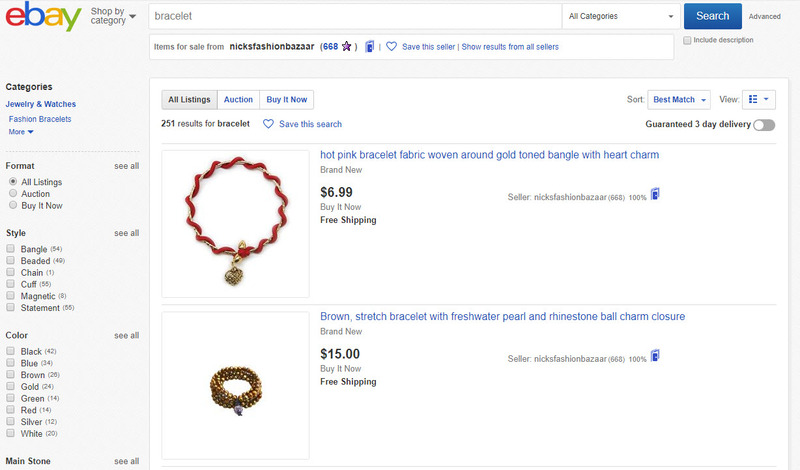 How will eBay category Store search function? I use custom categories. 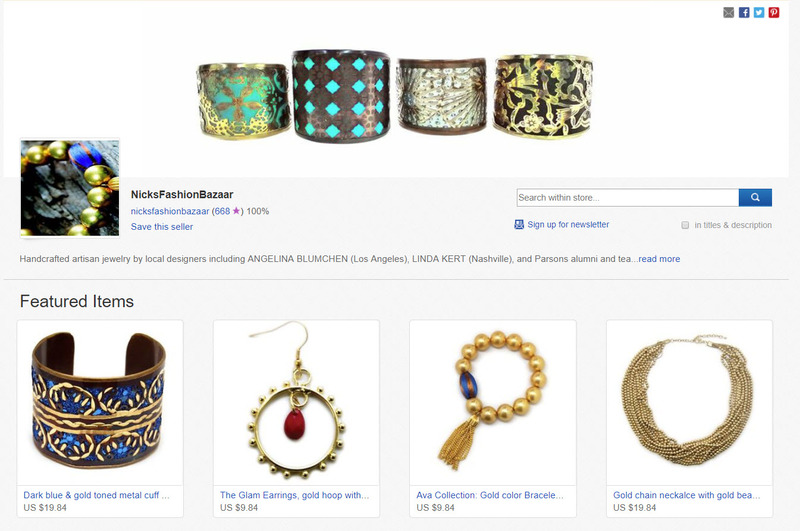 Will buyers have the option to search custom categories within my Store? If your Store has custom categories, those items will be regrouped to the most appropriate eBay category for users to find when they are searching your Store. Why is eBay changing the Store search experience? In an effort to consolidate and align with other areas on eBay, Stores has made this change to search. Additionally, users will now have the ability to apply numerous filter options that was not previously available in a constrained search inside of a Store.